I'll shout this to the rooftops. We made the monster that is modern day China. Between greedy capitalists that wanted to make money on the back of poorly paid labor to maximize profits in the US, to idiot politicians/think tanks that decided that by offshoring our production to a backwards (at the time) communist country that we could get them to flip to becoming a democracy, the results are the same. We created Frankenstein's monster that will challenge us for our very existence. The funny thing (not funny funny but funny ironic) is that two high profile early trade items are replacing each other and are/have form the backbone of their rotor winged aviation. The French went against all common sense and sold them Super Frelons back in the day and Sikorsky did the same with a few models of the Black Hawk. 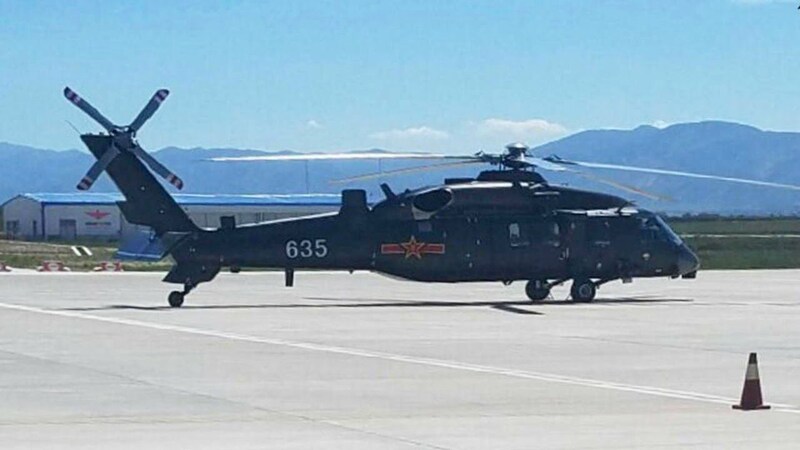 Now check this out via China Defense Blog. My only hope? I hope that whoever was stupid enough to make these deals has a child that is involved on the battlefield in the future fight. I wonder how they'll feel about their grandparents then?